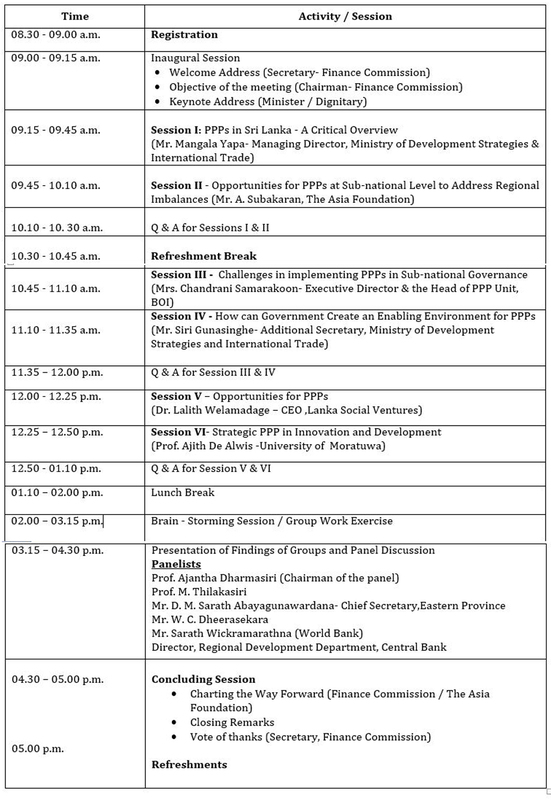 A Seminar on Public - Private Partnership (PPP) will be organized by the Finance Commission with the technical assistance of the Asia Foundation and financial assistance with the Department of Foreign Affairs and Trade, Government of Australia. No. 28/10, Malalasekara Mawatha, Colombo 07. Time : 08.30 a.m. - 5.00 p.m.